But actually it was for Laura and Ben. 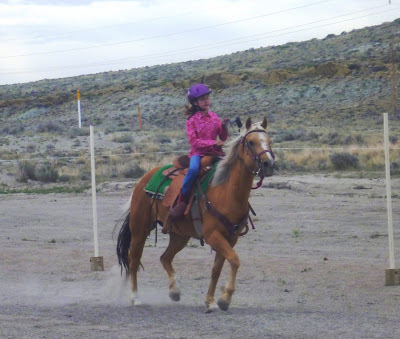 Here are a few pictures from their first rodeo. Ben in the barrel racing on Winchester. Ben picks out his very fast chicken for the chicken race. Laura takes 2nd in barrels!